Caramoan, officially the Municipality of Caramoan, is a 2nd class municipality in the province of Camarines Sur, Philippines. According to the 2015 census, it has a population of 47,605 people. It is located at the tip of the Caramoan Peninsula, a rugged place of land extending into the waters of the Maqueda Channel on the north and east and Lagonoy Gulf on the south. Caramoan is bounded on the north by the town of Garchitorena and the Philippine Sea of the Pacific Ocean; on the north-east by the island province of Catanduanes; on the south by Lagonoy Gulf; on the east by the Maqueda Channel and on the west by the municipality of Presentacion. The municipality covers approximately 277.41 square kilometres (107.11 sq mi) with approximately 71 kilometres (44 mi) of irregular coastline surrounded by the vast ocean, bay, seas and swamps. It is approximately 500 kilometres (310 mi) from Metro Manila; 95 kilometres (59 mi) from the municipality of Pili, where the seat of the provincial government and the Naga Domestic Airport are located; and 110 kilometres (68 mi) east from Naga City, the heart of Bicol. Caramoan is politically subdivided into 49 barangays. The name Caramoan has been officially used since 1619, the year it was named by a Spanish missionary friar, Francisco de la Cruz Y Oropesa. Fr. Oropesa penetrated the thick virgin forest of the Caramoan Peninsula and founded a small settlement in a place called Baluarte. This settlement was subsequently turned over to the administration of the Holy Bishopric in 1696. Prior to the arrival of the Spaniards, it was determined that the place was once called Guta de Leche, which was given by Dutch traders who operated a gold mine in Lahuy Island and who frequented the area to trade with the natives. The name was perhaps derived from the milkdrop stalagmites found among the rocks of Guta Port. Upon the arrival of the Spaniards, the place came to be called "Carahan" for the sea turtle, which was at that time to be found in great number along the shores of the Peninsula. In the 2015 census, the population of Caramoan was 47,605 people, with a density of 170 inhabitants per square kilometre or 440 inhabitants per square mile. Caramoan has been the site for several editions of the competitive reality television show Survivor. The area has hosted the U.S. version in two consecutive seasons (Survivor: Philippines and Survivor: Caramoan), the Serbian version for two consecutive seasons and the Israeli version for three consecutive seasons (** Survivor 10: Philippine Islands, Survivor 10: Fans vs. Favorites, Survivor 10: Camarines). Bulgarian Survivor also filmed its fourth season there in May to July 2009. Robinson 2010, the 12th season of the Swedish version of the franchise, was filmed in Caramoan from May to June 2010. The only season of Survivor India was shot in Caramoan, with an Indian production crew spotted in the area in March 2011. The first season of Supraviețuitorul, a Romanian reality game based on Survivor was shot in Caramoan in the summer of 2016, as well as the first and second season of Robinsonův ostrov (Czech version). ^ "Province: Camarines Sur". PSGC Interactive. Quezon City, Philippines: Philippine Statistics Authority. Retrieved 12 November 2016. ^ "Caramoan Islands". CaramoanIslands.com. Retrieved February 10, 2013. ^ "Caramoan, Camarines Sur: Average Temperatures and Rainfall". World Weather Online. Retrieved 29 October 2017. 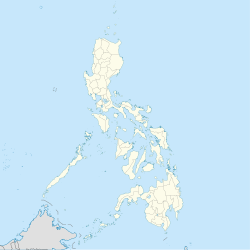 ^ "Province of Camarines Sur". Municipality Population Data. Local Water Utilities Administration Research Division. Retrieved 17 December 2016. ^ Aguilar, Ephraim (May 8, 2008). "4th-class town well on the way to celeb status". Inquirer.net. Archived from the original on February 12, 2012. Retrieved May 20, 2012. ^ Talagtag, Jr., Anselmo (October 30, 2011). "How Caramoan wowed "Survivor India"". Manila Bulletin. Archived from the original on November 14, 2011. Retrieved September 15, 2012. Wikimedia Commons has media related to Caramoan, Camarines Sur. This page was last edited on 16 March 2019, at 08:01 (UTC).